The Electrodeionization (EDI) process, invented over 20 years ago, is a continuous, chemical-free method that removes ionized and ionizable impurities from the feed water. 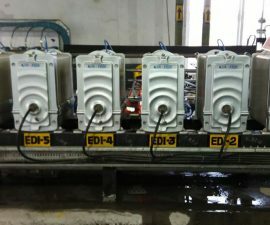 EDI is most commonly used to treat Reverse Osmosis (RO); permeate and replace Mixed Bed (MB) ion exchange; producing high purity water of up to 18 M Ω.cm. EDI eliminates the need to store and handle hazardous chemicals required for resin regeneration and the associated neutralization steps. QUA’s Fractional Electrodeionization (FEDI) process is an advancement of EDI and was developed by taking into account the limitations of conventional EDI. 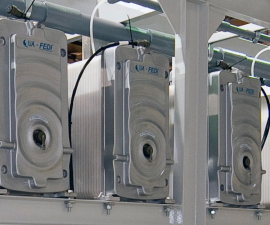 FEDI has been in the market for over five years now and has been installed in power stations, refineries, and more. 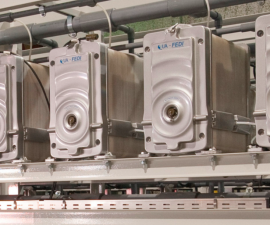 Many of these FEDI systems supplied are some of the largest installed systems in the world. 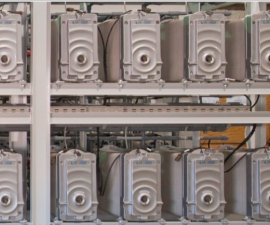 The patented dual voltage process allows for a higher flexibility and tolerance to inlet water conditions, thus lowering the risk of scaling, and improving the plant’s design economics and reliability. 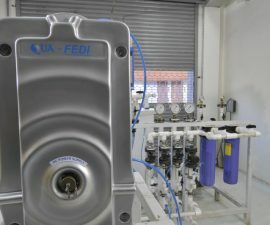 FEDI products are supported with CE conformity certificates. There are two types of ionic impurities removed in an EDI process; strongly ionized impurities (divalent ions such as Ca, Mg, SO4 and monovalent ions such as Na, Cl and HCO3) and weakly ionized impurities (such as CO2 B and SiO2). Both types of ionic impurities require a different driving force (current) for movement and separation. Strongly ionized impurities require less current, whereas weakly ionized impurities require more. 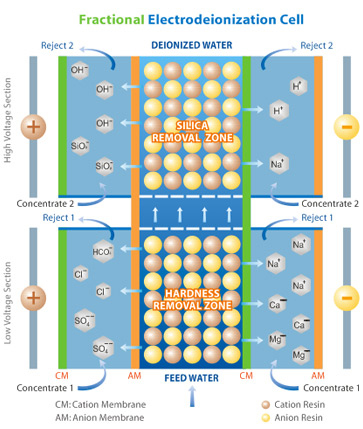 Rather than applying one current to the entire module, the FEDI process differentiates the treatment of weakly ionized and strongly ionized impurities by applying different currents and voltages in a two stage process. This allows a significant portion of strongly ionized impurities, mainly the divalent ions, which can cause precipitation at a higher voltage, to be removed in Stage-1. 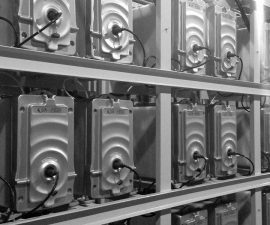 Subsequently, a higher voltage is applied for removing weakly ionized impurities in Stage-2. The rejected ions from both stages are removed, using separate reject streams, thus preventing hardness precipitation. Please click image for demonstration. Achieve a higher hardness tolerance by having distinctly different concentrate chambers with separate reject streams and thus reducing the potential of hardness scaling. Optimize power consumption by using higher electrical current only where required. Ensure the best water quality, continuously & consistently by removing a major part of the deionization load in the ‘hardness removal zone’, while residual ionic impurities are effectively removed in the ‘silica removal zone’, which stays in a polishing mode.